As the Black Death again rears its ugly head, researchers seek out a new vaccine and novel drugs to fight it. Plague arrived in Europe like the opening of a Clive Cussler novel, on a ship of death carrying corpses of individuals felled by some unimaginable, mysterious, and previously unseen disease. In October 1347, Yersinia pestis, the plague-causing organism, arrived in Sicily on Genoese trading ships that had sailed through the Black Sea past Constantinople and through the Mediterranean. The majority of the sailors aboard the ships were dead; those still alive were extremely ill, overcome with fever and suffering great pain. Most terrifyingly, they were covered with the oozing black boils that gave rise to the name “the Black Death”. The disease laid waste to one third of Europe’s population over the next five years (more than 20 million people). But resurgences of late have scientists and epidemiologists concerned. Most recently, a town of 30,000 in China was shut down after from a local man died from bubonic plague, apparently contracted from a marmot. Since September 2013, 84 cases and 42 deaths had been reported in four of Madagascar’s 112 districts, of which 60 cases were, most worryingly, pneumonic plague. respiratory droplets. In most instances, experts say use of an appropriate combination of measures can prevent outbreaks. These include personal protective measures; applications of insecticides to home, recreational, and work environments when plague has been detected in local animal or flea populations; and prophylactic antibiotic treatment of individuals presumed to have been exposed to infection. But pneumonic plague, because it can be inhaled and transmitted among humans without involvement of animals or fleas, worries scientists the most. If untreated, it has a high fatality rate. Following an incubation period of 1–6 days, primary pneumonic plague develops rapidly. Deaths result from respiratory failure and/or sequelae of severe sepsis. Pneumonic plague is nearly always fatal unless treated with antibiotics within 20 hours of symptom onset. This type of spread has not been documented in the U.S. since 1924, but still occurs with some frequency in developing countries. And Y. pestis, scientists have pointed out, displays natural genetic plasticity and can acquire antibiotic resistance. It has been weaponized through aerosolization. According to a 2008 article in Expert Review of Vaccines by Stephen Smiley, M.D., Y. pestis already has a long history as a biowarfare agent. In 1347, the Tartars catapulted plague-ridden corpses into the besieged city of Kaffa, causing residents to flee and take the Black Death with them to Italy. During World War II, the Japanese initiated local outbreaks of bubonic plague in China by dropping ceramic bomblets containing Y. pestis-infected fleas. During the Cold War, both American and Soviet scientists devised means to effectively aerosolize Y. pestis, thereby removing the need for the flea vector. The potential use of plague as a weapon along with recent outbreaks, the FDA says, has created an urgent need to develop and license new plague vaccines that can provide protection against both forms of the disease. Killed whole-cell vaccine (KWC) provides poor protection against pneumonic plague and immunization requires multiple doses. The live whole-cell vaccine (LWC) is highly reactogenic and is not licensed for use in humans. Against this background, researchers say, a range of candidate vaccines, including rationally attenuated mutants, subunit vaccines, and naked DNA vaccines have been described. Of these, an injected subunit vaccine may offer the best near-term solution to the provision of a vaccine that protects against both bubonic and pneumonic plague. 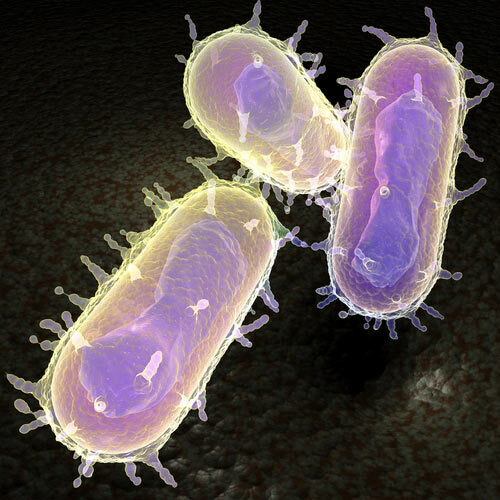 Recombinant technology has made major protective antigens of Y. pestis available in a highly pure form, allowing an evaluation of the vaccine potential of the subunit and other types of next-generation vaccines. These vaccines eliminate risk factors associated with the use of live vaccine and significantly reduced undesirable side effects linked to the massive administration of a mixture of numerous antigens existing in whole-cell killed vaccines. Nevertheless, intensive clinical trials are necessary to prove that these vaccines are safer and can provide better immunity than KWC and especially LWC vaccine. Whatever vaccines are developed, they will need to address proteins involved in the number of synergistic mechanisms that likely contribute to the exceptional virulence of Y. pestis. Scientists continue to hunt for viable antigens that will confer immunity across strains of the organism and identify potential drug targets that could slow pathogenic mechanisms. These investigations have recently focused on analysis and characterization of the infection process, including blocking transcriptional activation, inhibiting function of proteins secreted by bacteria during infection, or disabling the full virulence system by interference with its assembly and function. For example, in many Gram negative bacteria, including Y. pestis, the type III secretion system (T3SS) is a preferred target for novel therapeutics development. Latham et al., showed in an article in Science that the plasminogen activator Pla is essential for Y. pestis to cause primary pneumonic plague, but less so for dissemination during pneumonic plague than bubonic plague. Pla allows Y. pestis to replicate rapidly in the airways, causing a lethal fulminant pneumonia. If the protein is unexpressed, inflammation is aborted, and lung repair is activated. Inhibition of Pla expression prolonged the survival of animals with the disease, offering, the researchers said, a therapeutic option to extend the period during which antibiotics are effective. Meanwhile, an investigational vaccine comprised of flagellin/F1/V, composed of a single fusion protein containing flagellin and two protective antigens of Y. pestis (F1 and V) is currently a Phase II clinical trial, which is being sponsored by the U.S. Department of Defense Chemical Biological Medical Systems Joint Vaccine Acquisition Program. DynPort Vaccine has an ongoing contract with the DOD to develop the recombinant plague vaccine. Hopefully these efforts will lead to the development of a new, effective vaccine and novel drugs for an old plague.